A motorcycle doesn’t just move you from place to place, it provides an experience. That’s because a motorcycle isn’t something you have, it’s something you do. Riding a motorcycle empowers you and helps you focus on the moment. 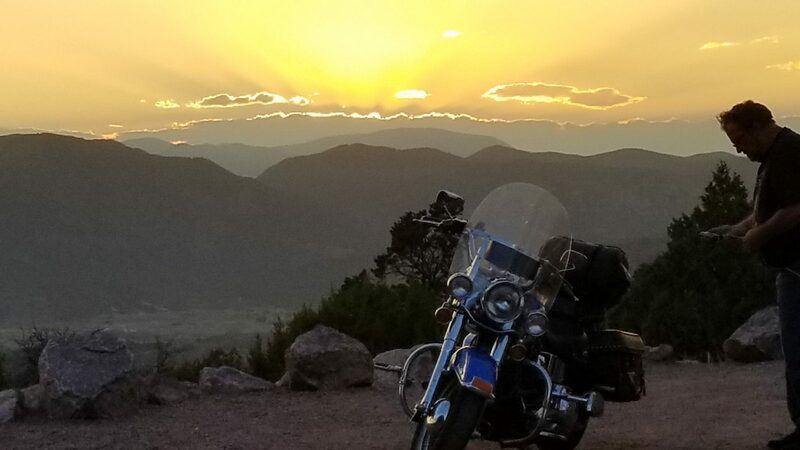 Ride through some of Colorado’s most stunning scenery in Custer County. Long, quiet roads follow the foothills of the Wet and Sangre de Cristo Mountain Ranges to create lifetime memories. The Frontier Pathways Scenic Byway charts a course through an area that was once a true cultural crossroads. The ride takes you from Westcliffe, through the San Isabel National Forest and into Pueblo. The Western Express Bicycle Route follows the Arkansas River from Salida through Big Horn Sheep Canyon to Cotopaxi, where it veers off U.S. 50 to wind through the Wet Mountain Valley and Wet Mountains before dropping back to the Arkansas in Pueblo. This 96-mile route starts in Westcliffe, heads north toward Texas Creek and then east along U.S. 50 into Cañon City. From Cañon City, the route winds into Florence and Wetmore before crossing the Wet Mountains back into Silver Cliff and Westcliffe. Enjoy wonderful views of the Sangre de Cristo Range along CO 69 and the unique canyon carved by the Arkansas River on U.S. 50. CO 67, just south of Florence on the way to Wetmore, takes you by the Federal prison complex, including its Supermax unit, which houses America’s most dangerous convicts. If you follow the loop clockwise, you’ll top the Wet Mountains to one of the most inspiring views of the Sangres about 10 miles before you get to Silver Cliff.